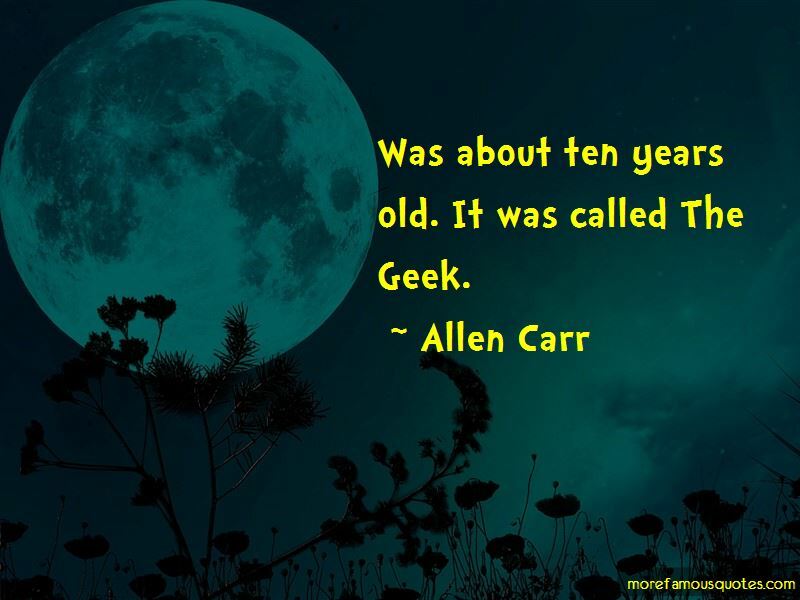 Enjoy the top 18 famous quotes, sayings and quotations by Allen Carr. Eight hours after putting out a cigarette, you are 97% nicotine-free. After just three days of not smoking, you are 100% nicotine-free. Smokers do not smoke because they enjoy it. They do it because they are miserable without it. Whenever you think about smoking you must see it as a lifetime's chain of filth, disease, fear, misery and slavery. 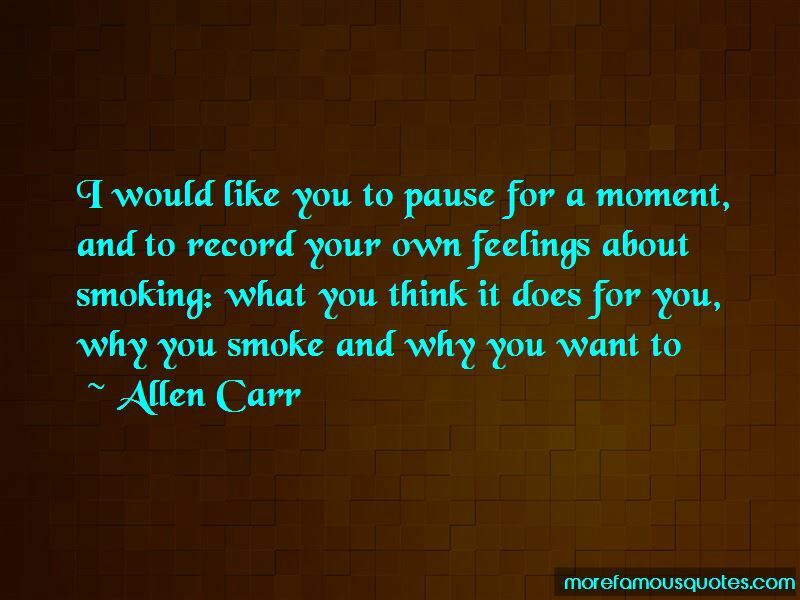 Want to see more pictures of Allen Carr quotes? Click on image of Allen Carr quotes to view full size.